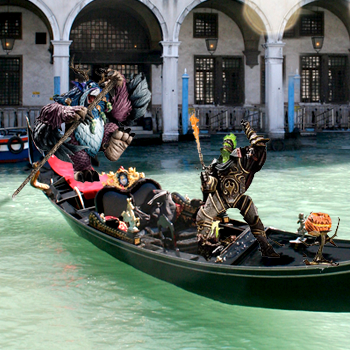 Announcing the Winners of the WoW Caption Contest! 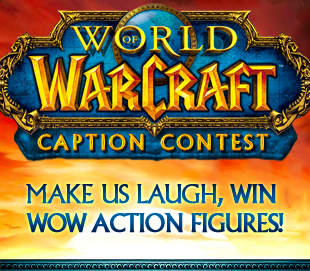 Over the past week we've been accepting submissions for our first WoW Action Figure Caption Contest. Your entries were both hilarious and horrific, which is exactly what we asked for, so thanks! Now two lucky folks will be walking away with a few magnificent models each, which boast elaborate attention to detail, express each character's own unique nuances, and stand approximately six inches tall. 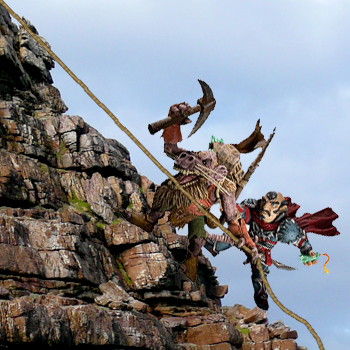 Congratulations to the victors who both picked the same image, unequivocal proof that gnomes are silly. 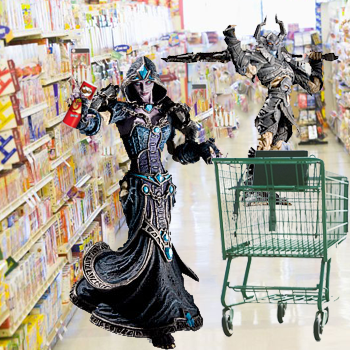 We've also listed honorable mentions below their respective images. GRAND PRIZE WINNER "HE DIDN'T FALL? INCONCEIVABLE. You keep using that word. I do not think it means what you think it means." by Harry Brock. RUNNER UP "AIN'T NO MOUNTAIN HIGH ENOUGH, AIN'T NO VALLEY LOW ENOUGH, AIN'T NO RIVER WIIIIIIDE ENOOOOUGH TO KEEP ME FROM GETTING TO YOU, CANDLE!" by Gary Playford Jr.